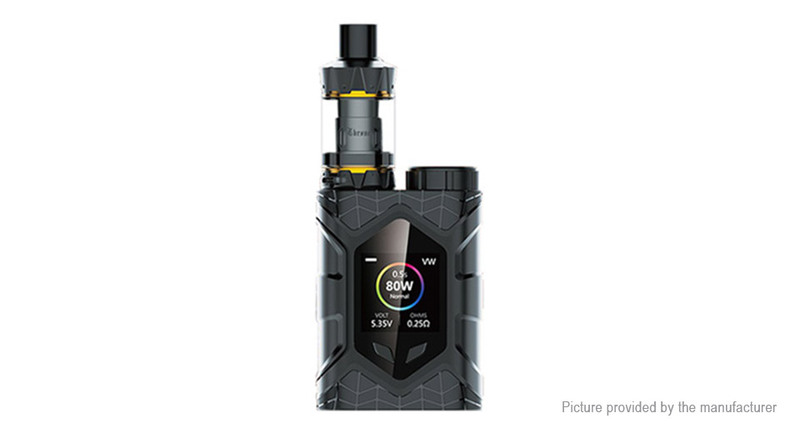 Crawler features the latest Supercharger Technology from Vaptio. the wicking hole and prevents leakage. MTL drip tip, to accompany the 1.2ohm coil for smoother vaper texture. DL drip tip: to accompany the 0.25ohm coil for instant and massive vaper experience. Curved art: Check out the precisely carved detailed on the Throne tank and you&apos;ll find a piece of art at your fingertips. Bottom airflow: Ensure smoother airflow and optional performance. Supercharger technology: Fire it to the max throttle in just 0.005 seconds. Go as low as 0.05ohm resistance under bypass mode. Low is dope: Under bypass mode, the mod supports as low as 0.05ohm resistance under bypass mode. Like a protective guardian: It featured with a leakage proof electrode retaining collar, protecting the electronics within. time to replace the old battery.